A Slice of Smith Life: The Paperbag Christmas, a wonderful book! The Paperbag Christmas, a wonderful book! Once a month our homeschool group has been visiting a local assisted living home to visit the residents there. Some of the children make it known that this activity is not on their list of the top fun things to do, but the moms and myself explain to them that this doesn't have to be your favorite activity, but it is an opportunity to bring a smile and joy to others who may not ever have young visitors or any visitors at all. We walk around the rooms and the children give the men and women artwork that they have drawn and colored and then we sing a song to each person. The photo above was taken during our December visit and we sang Christmas carols to the residents. It always touches me to see their faces perk up and their eyes light up when they see our children coming into their rooms and singing songs. It was around this visit that I "met" blogger, Renee Ann at Doorkeeper. She had this book review here on The Paperbag Christmas by Kevin Alan Milne. Just as our homeschool children visit the assisted living home to spread joy and smiles, the young characters in The Paperbag Christmas story visit children battling cancer in hopes that they will be able to spread good cheer to the children. It's interesting that the more the young boys go to the children's hospital, the more comfortable they feel since they can see that they are making a difference in a child's life. It is our hope in our homeschool group that our children will gradually feel more comfortable around the older residents and see that their time is making a difference in someone's world. I immediately looked to see if our local library had a copy of the book as soon as I read Renee Ann's review. (I'm behind in the technology world since I am Nook-less and Kindle-less :) They did and we have been reading this short, but beautiful and touching story as a family each night. Last night, I was balling my eyes out and asked my husband to finish the chapter for me. He was tearing up also and told us he couldn't finish so I had to keep reading aloud to him and our children between the sobs. I won't tell you anything else about the story except what Renee Ann wrote on her review. I will say that I LOVE this story and I will most likely buy a copy for myself and I hope to make it a tradition to read it each year at Christmas time. The book will make you laugh, smile, cry, and will teach what the true meaning of Christmas and life is all about. I pray my children will take to heart the lessons learned from this story and I hope others will enjoy it as much as we have. Thank you Renee Ann for the wonderful review and recommendation! Also, Renee Ann has been awarded the December Star Blogger Award for the No Ordinary Blog Hop that I am co-hosting with Lynda at My Heart's Desire and Anna-Marie at Life's Adventures. Renee Ann linked up the most posts in December to receive the award. 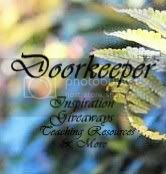 Be sure to visit Renee Ann at Doorkeeper and check out her wonderful blog! You will be inspired and you may find a book or two that will touch your life in a special way like The Paperbag Christmas has done for our family! Be sure to check out our No Ordinary Blog Hop also by clicking on the button below! We would love to read your posts in this new year! We did some nursing home visits when the boys were little. We should get back into that. and I got your note about not having the button for a hop. I'll fix that tonight. I apologize! I love it that you're taking your kids to the assisted living home! That experience will plant seeds of compassion in their hearts that will take root later in their lives. I still remember some memorable trips to the local nursing homes with my church youth group . . . Thanks for linking to my blog. I'll be linking to the blog hop in tomorrow's post! Blessings! I admire your group for doing the home visits. They may not enjoy it now but I bet they will look back with fond memories. Great post and highlight to Renee Ann's blog. I have really been blessed by her. The blog hop has introduced us to a lot of really great bloggers. Have a good day tomorrow, yay it's Friday. I voted for you. I have loved reading your posts and am delighted to meet you. Looking forward to getting to know you better. I'm a new follower. I hope you'll stop by and follow me back when you get a chance. I'm always looking for good books for my children, so thanks for the recommendation! What a wonderful ministry you and your children have the assisted living facility! It's just wonderful when books can touch you so! I am also exceedingly happy to hear that your family reads together. I am a HUGE advocate for that! Also, thank you for your lovely comments on my blog. I really appreciated them! It;s wonderful to have a person come in, share their ideas, add to the discussion, and enrich it! I am now follow you! Thanks always for your visits and comments and I hope you enjoy the book if you get it! Thank you Tiffany, Epiphany blessings to you too! The book is a jewel and I can't wait to read it again next year with my family! Thanks Lynda for you visits and comments always! 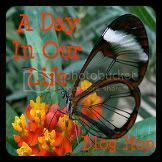 The blog hop has been a blessing and a great way to meet great bloggers! I hope you have had a restful weekend after your busy school week! I have visited your blog before and I was inspired then as I am now. Thank you for your visit, comment and follow! I am now following your blog. What a beautiful family and blog you have! Congrats on your pregnancy! WOW! I am so impressed by how you manage your large family and your lovely blog :) I look forward to reading your posts! Have a blessed weekend! Hi Steph at "Pain SUX"
I've visited blog of your blogs and left comments! Thanks for being an inspiration! Thanks for your visit and comment! I hope you enjoy the book if you decide to read it! I have enjoyed "meeting" you in blog world and reading your posts! I have put your Follow me if you dare button on my blog and love the post you did on this! Thanks for the follow! I'm following you as well! My Dad, our Hall of Famer!